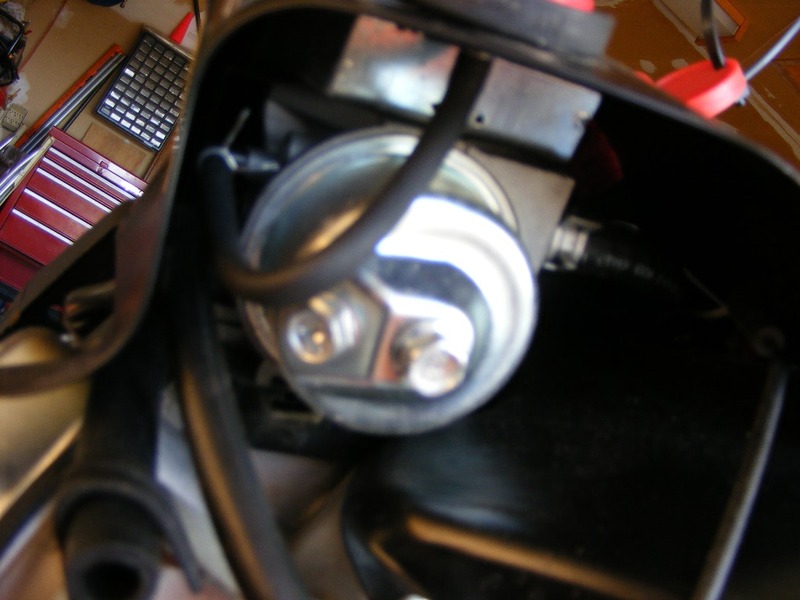 Snowblower Forum : Snow Blower Forums > Snowblower Brand Forums > Ariens Snowblowers > Deluxe 24 (921031)...where's the carb? Sorry if this is another dumb newbie question. Circa 2011 Deluxe 24 with Briggs & Stratton engine. 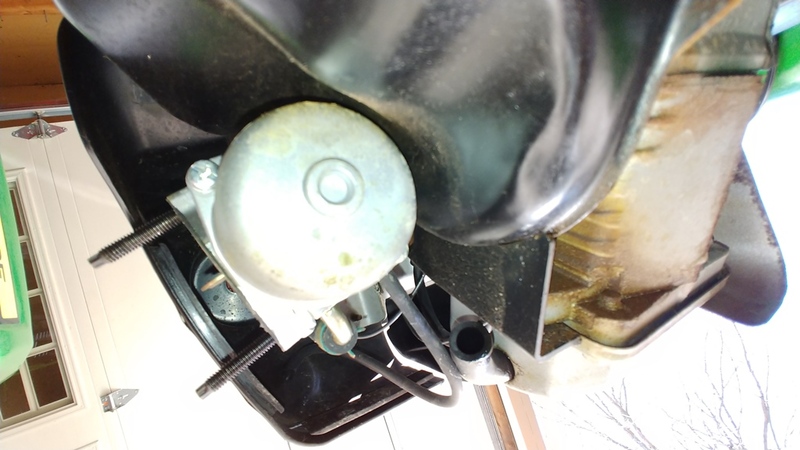 Can't see the carb to empty it for spring maintenance and not sure if there's any way to access it except to remove a side panel? Can't find any diagrams or videos of this generation. Any help is much appreciated! It's under a.cover somewhere. Just follow the gas line from your tank and you'll find it! Your choke knob is attached to the carb. it's not a dumb question. We all don't know everything. That's how we learn, too. Thank you! 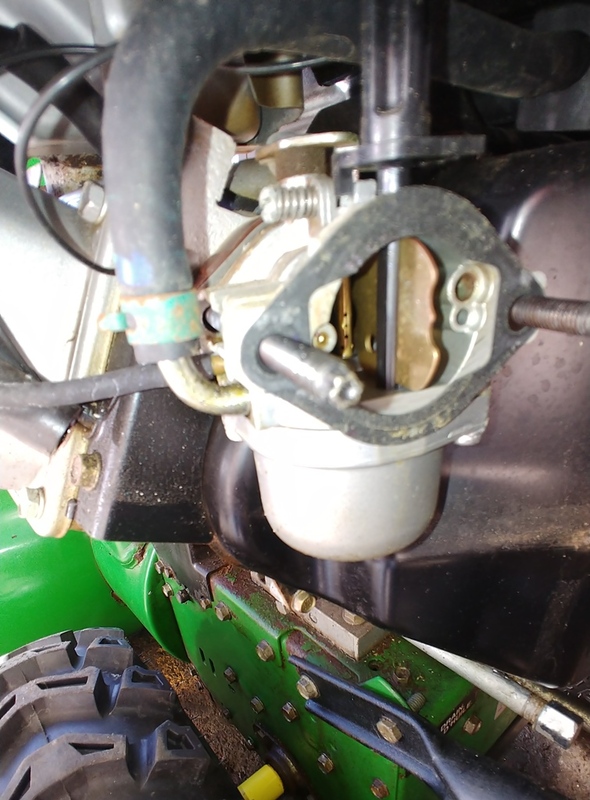 Is it critical for me to drain the carb to put the blower in service position if I've already shut off the fuel and ran engine til it stopped? Tank is currently full of stabilized non-ethanol gas. TIA. No, that is not critical. Given that you already ran the engine until it stopped from lack of fuel there is very little fuel left in the carburetor anyway. It is (I think) best to drain that before long term storage but opinions differ - some will say it doesn't matter. And in some cases, it doesn't. The carb is under the throttle/choke control in an open area. See attached pics. The float bowl retaining screw is in the center and the drain screw is angled and to the side of it. Town that is a LCT engine, Briggs are a bit different, Same place but a few more covers need to be removed but not too bad to do. 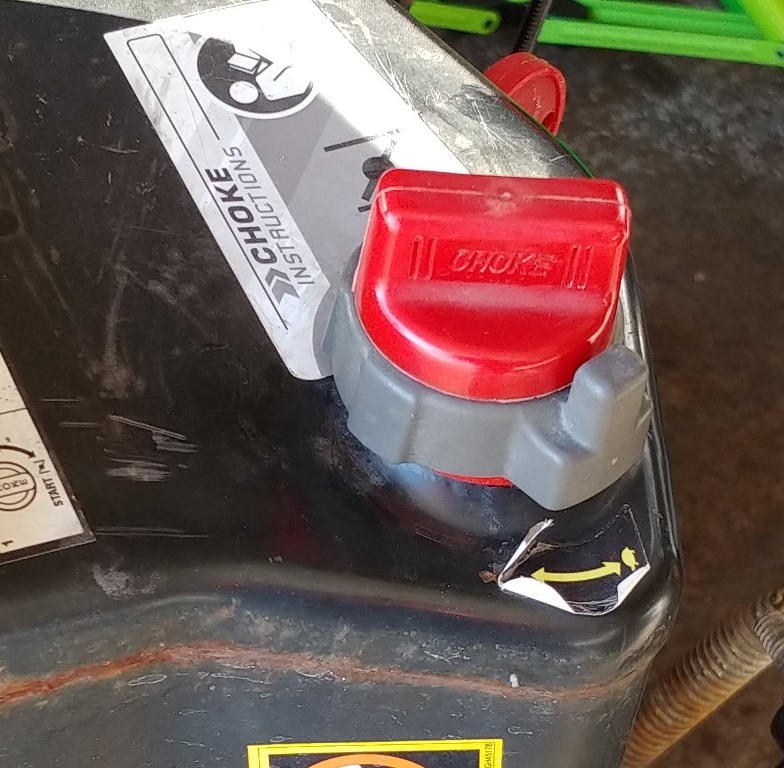 I have a 2014 Deluxe 28+ 921037, and even if I have the fuel shutoff switched on, the fuel will still leak from the tank cap.....unless the tank is at less than 1/2 a tank of gas. Sorry about that. 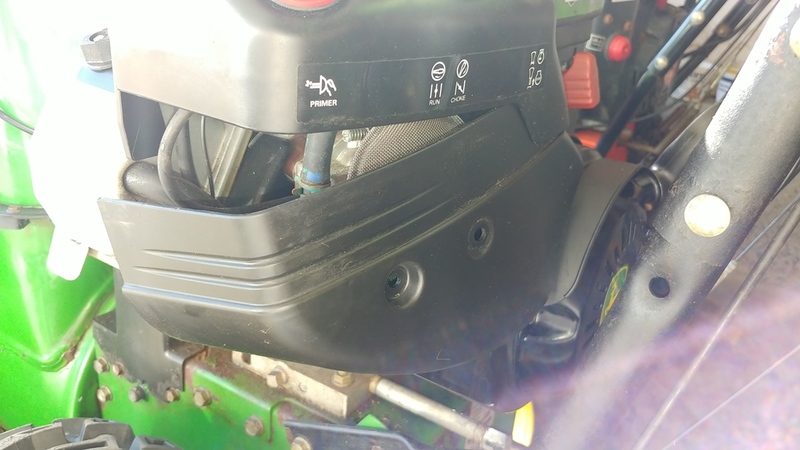 I don't know what the B&S engine looks like on the Ariens, but it may be similar to the one on a 2009 John Deere 1130SE. The attached pics show what that engine looks like and what cover needs to be removed for access to the float bowl. 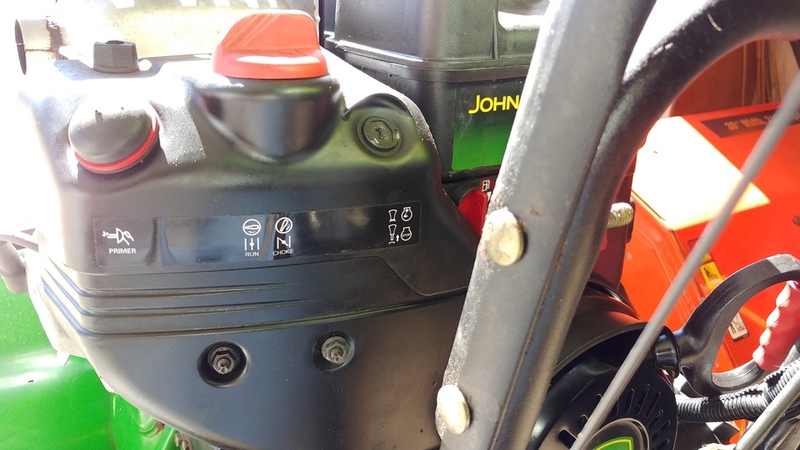 However, on this B&S engine there is no drain plug, the float bowl is attached with 3 screws (combination phillips and straight blade headed screws) that need to be removed. This may have changed to the typical drain screw as on the LCT for the Ariens. Took only a couple of mins to remove the panel and check out the carb and replace everything.